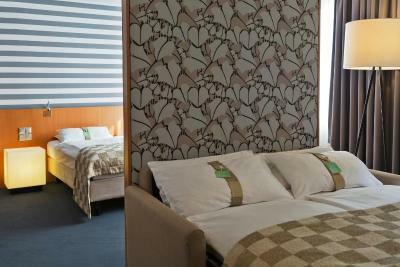 Lock in a great price for Holiday Inn Vienna City – rated 8.7 by recent guests! This hotel was clean and comfortable. The location is excellent, just a short walk to the underground station and from there one stop to the main transfer location. Lots of great restaurants near the hotel, and a great breakfast. The staff was incredibly nice and helpful, recommended amazing well priced restaurants. A special call out to Jenny! And the homemade cake in the lobby was a nice treat too. Good location, good and clean hotel. Not more. USB power connection in the 230 V connector. The hotel located in a nice area, not too far from the main city attractions. 5 minutes walking from Kettenbruckengasse Metro station, but also there are bus stops near by (lines 13A and 59A). The regular rooms are not very big, but as for me, big enough to feel comfortable. The heating was great, so even it was snowing outside, we felt very warm. There are safe and tea\coffee facilities in the room. The stuff was very nice and helpful and we loved the tasty breakfasts. Good location, nice room bigger then i expected. Breakfast was ok.
Room size. Nice bathroom. Nice tea cake set out in the afternoon. Nice staff. Holiday Inn Vienna City This rating is a reflection of how the property compares to the industry standard when it comes to price, facilities and services available. It's based on a self-evaluation by the property. Use this rating to help choose your stay! In a trendy area of Vienna but off the beaten tourist path and a quarter mile from the next metro stop, the family-run Holiday Inn Vienna City features a lush inner courtyard with dining area and a restaurant serving typical Austrian cuisine. Free Wi-Fi is available in all areas. 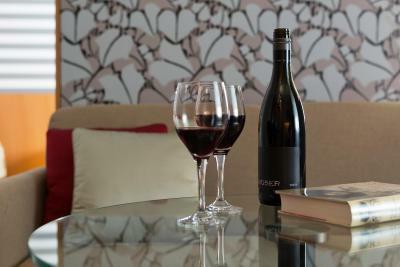 The air-conditioned rooms have a flat-screen cable TV, a minibar, and coffee and tea-making facilities. The private bathrooms include a bathtub or shower. The Kettenbrückengasse Metro Stop of the line U4 and the lively Naschmarkt outdoor market, with many dining options reachable within a 5-minute walk. The Freihausviertel Quarter, famous for its designer shops, its creative scene and its numerous restaurants and bars is within walking distance. The Mariahilfer Straße Shopping Street, as well as the State Opera, can be reached within a 15-minute walk, and the center of the city with the St. Stephen’s Cathedral is only 2 subway stops away. A bike path starts just in front of the Holiday Inn Vienna City. 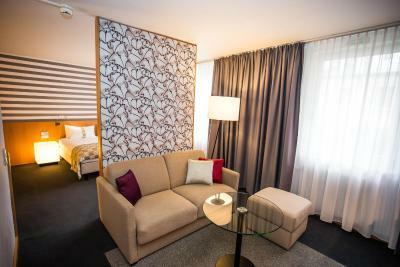 When would you like to stay at Holiday Inn Vienna City? This elegantly furnished room offers free Wi-Fi, satellite TV and a comfortable bathroom with bathtub. This elegantly furnished room offers free Wi-Fi, satellite TV and a comfortable bathroom with bathtub or shower. This room has air conditioning, a flat-screen TV, minibar and a bathroom with a bathtub. It is barrier-free. This suite features a electric kettle, mini-bar and satellite TV. This single room has a electric kettle, tea/coffee maker and cable TV. Enjoy a relaxing stay at Holiday Inn Vienna City, a family-run hotel in arty Freihausviertel just 5 minute walk from Naschmarkt food market. Settle in to your guest room, decorated in Wiener Moderne style, and relax in our peaceful courtyard garden. 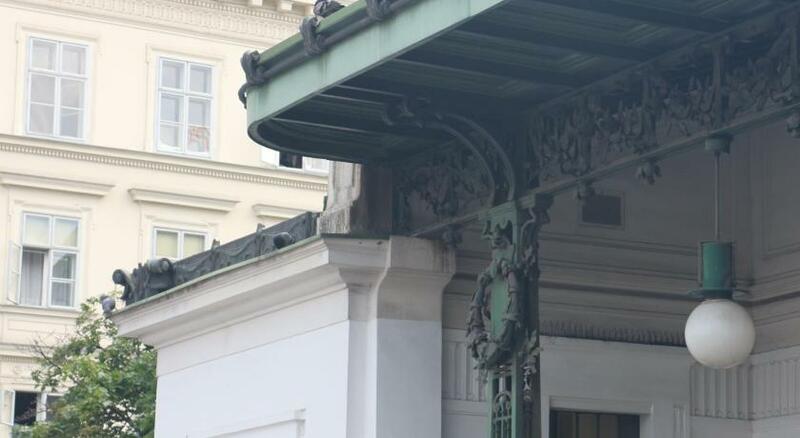 You can discover Vienna's top sights by foot and from the nearby Kettenbrückengasse U-Bahn station. 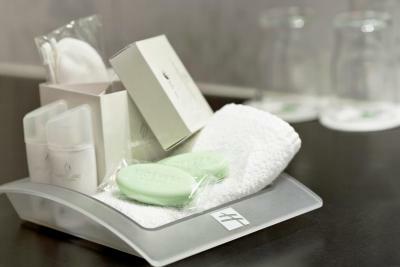 House Rules Holiday Inn Vienna City takes special requests – add in the next step! Holiday Inn Vienna City accepts these cards and reserves the right to temporarily hold an amount prior to arrival. Please note that extra bed rates may vary according to meal options. Location was good, about 10 to 15 minute walk from Vienna centre. Quiet area and felt safe. The parking place for our car was very narrow. The location was good (downtown), the rooms were clean and the breakfast was also good. Safe is a very good idea and something I always make use of - however it was located very high even for a 6ft tall person As a result I may have left a bank card in there. Staff at reception with genuine warmth of welcome on arrival they deserve a pay rise. Their patience and smiley presence even in the midst of a busy desk. Nothing was too much trouble for them as they guided us round Vienna. Great ambassadors for their city. We really loved their sense of humour. Thank you Jenny and Anna. We hope to return. Must also mention the staff in Bar and Restaurant. We were not in there often but warmth and great humour appreciatedt. Thank you. Card and chocolates for a birthday was nice touch. Room was really nice, tv great, very clean, lovely little touches to make the stay very pleasant. I wish they had more space in the breakfast area. When hotel is fully loaded finding a free table becomes a problem. Breakfast is very good. Garden view is very nice. There is no noise from the street at all. Hotel location is very good, you can get to city center in 15-20 minutes by walking. Small room and very noisy and strong ventilation with no possibilities to adjust. Easy, fast and detailed check-in. Parking of the hotel is just around the corner and accessible with hotels elevator. Wi-Fi works perfect! The room was quiet. The staff is best ever! Specially girls at the breakfast time! Taeko and Rosibel need the upgrade of the position! They are so great and professional!